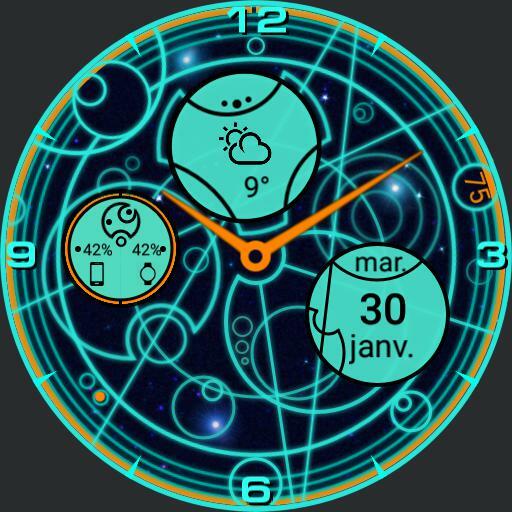 An watch face inspired by the Time Lord script and symbols used in Doctor Who. Tap the center dial to switch between normal, weather, and stopwatch faces. The stopwatch buttons say Start/Stop and Reset in Gallifreyan.